Cloud ERP becomes mainstream! – SoftOne Technologies S.A.
Home › Blog › Cloud › Cloud ERP becomes mainstream! ERP solutions are usually deployed either as on-premise or cloud-based systems. There is also the so-called hybrid model, which combines certain features of both on-premise and cloud-based solutions. Recently, though, there was a massive, global turn towards cloud ERP. This trend is not random and is certainly worth analyzing. An increasing number of studies report that the global market for cloud ERP solutions is growing rapidly. In particular, analysts expect this market to develop even further, with estimates ranging between 25 and 30 billion dollars for the next 4 to 5 years. Even though cloud computing has been around for some time now, it was not until very recently that the business world began adapting their way of thinking and their approach towards this matter. During the last two years mostly, experts have observed an extensive adoption of cloud ERP solutions, since cloud-based applications are gradually replacing on-premise systems in a wide range of operational processes. 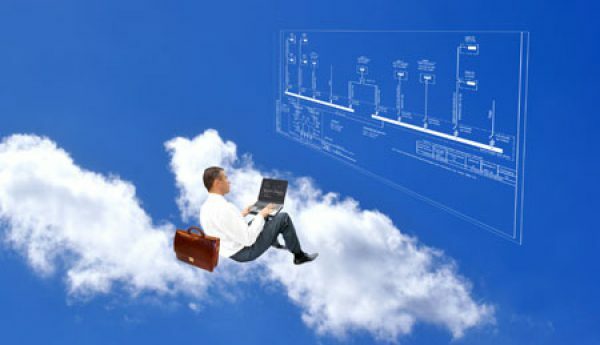 For those businesses that have already migrated other important applications, such as CRM and Human Resources Management (HRM), to the cloud, it is only reasonable to follow the same path for ERP as well, in order to ensure the minimum possible delay between the applications and improve their analytics and reporting. While there may be cases where it makes some sense for certain businesses to keep specific applications on-premise (due to cost considerations, compliance restrictions or just familiarity), the migration of web-based applications to the cloud seems to be even more sensible. In the end, what makes the adoption of cloud ERP so important is the fact that business leaders are realizing that the transformation of business processes is a small price to pay, in order to ensure the development of their business model at the rate dictated by market dynamics. The advantages offered by operational flexibility, financial efficiency and modern technology far outweigh any initial hesitations regarding the migration from the legacy systems. After all, it has been proven that cloud-based ERP solutions are better than on-premise ones in many areas, such as scalability, upgrading and cost reduction. If you also consider improved user experience, streamlined upgrades and features such as mobile compatibility, the replacement of on-premise systems by cloud-based ERP solutions seems to have a firm foothold. How can you successfully migrate your ERP system to the cloud?